We always have a batch of slime in our house. Seriously, always. 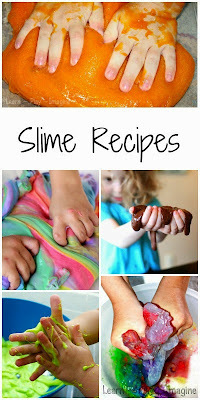 Slime lasts for months and months on end which is why it's one of our favorite recipes for play. I love materials that can be reused again and again. We've been on a rainbow kick lately with rainbow flour paint, painting rainbows with marshmallows, and rainbow sand slime. Since we were due for a new batch of slime I thought it would be fun to make this batch rainbow! 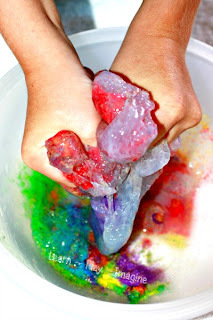 This rainbow slime recipe is so easy to make and only calls for three ingredients. 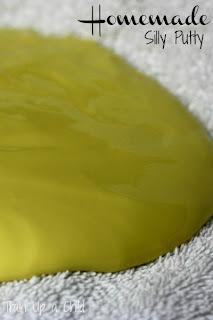 This slime recipe is so easy, a child can make it. In fact, one of mine did! JZ (6) loves mixing slime. We never measure when making slime. Combine equal parts of liquid starch and school glue and mix well to combine. Yep, it's that simple. 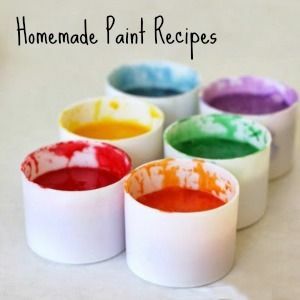 There are two options for this rainbow slime recipe. 1. Make small batches, mixing the color in immediately. 2. We chose to make a huge bowl of white slime and add the color in later. Adding the color in afterwards does require quite a bit of extra hand mixing. JZ was so eager to play with the new slime, and I didn't have the heart to make him wait. He played with the white slime for over an hour on Sunday when we made it. I added the color later that day. JZ and J-Bug (4) could hardly wait to dig their hands in the colorful slime. They were so cute when they asked me if they could mix the colors. 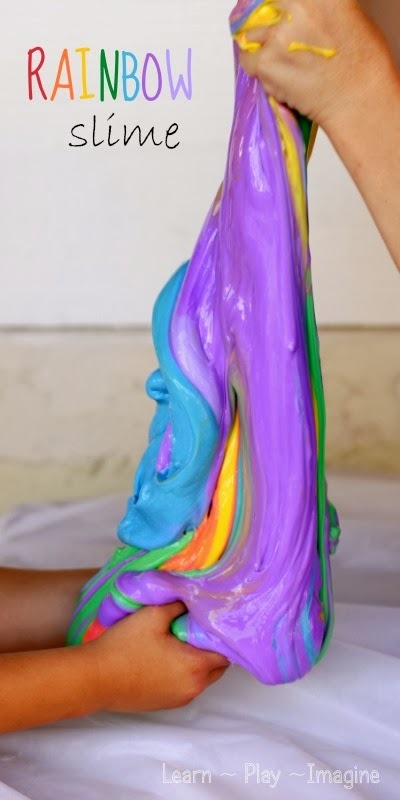 As if I would really make this beautiful rainbow slime and tell them to carefully keep the colors separate. That would be mean! Even I was enthralled watching the colors blend together. J-Bug and JZ stretched, pulled, and folded the slime in every direction possible, showing off the rainbow. JZ was particularly found of rolling the slime into balls and making it bounce. Trouble shooting slime: As I said, we never measure. There is no exact recipe. The key to a good slime is hand mixing well. My kids usually do all the "work". If after a lot of mixing the slime hasn't formed well add a small amount of glue and mix some more then a small amount of the liquid starch. When I do that I fold the slime into itself continually until it forms a solid, stretchy blob. 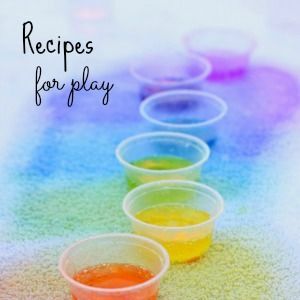 My sweet friend at Blog Me Mom also made some gorgeous rainbow slime this week, and her recipe is baby and toddler friendly. 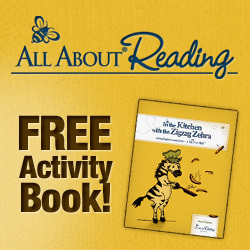 Be sure and check it out! Do these get moldy? I made some play dough and put some of it in tuppewares and it got all moldy after a few days! I've never had a batch get moldy, and we have kept some for as long as nine months. 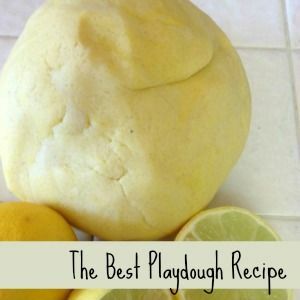 However, I've never had playdough go moldy either. Did you put cream of tartar in it? Do you live in a moist climate? You might want to store yours in the refrigerator if it's particularly humid where you live. I made play dough for my son 5 months ago, the last lot lasted 12 months. I make the recipe with flour, salt etc. All I do to preserve it is wrap it in cling wrap nice and tight then put it in a container! It's great. Then I just pull it out when my son wants to play with it and wrap it back up again! In Australia, where it is warm and humid, playdough is always kept in the fridge. Otherwise it will go mouldy. We never put our playdough in the fridge and have never had mouldy playdough. And we are in Perth, Australia. As long as it has enough salt in it there shouldn't be an issue and I only ever make cooked playdough which might make a difference too. Our issue is that even in a airtight container it will dry out after a couple of months. I have glow in the dark paint that I got at walmart, so I added it to the mixture. It's awesome!!!!! Glow in the dark flarp! Where can I.get liquid starch? I just bought some at Walmart yesterday! It's right with the spray-on starch in the laundry aisle. This looks like such fun, and lovely timing for St. Patrick's Day. 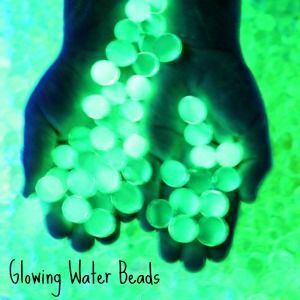 I just shared several different color/rainbow activities in preparation for St. Patrick's Day. The girls have also been learning about states of matter and would love to do this. I would love if you could stop by Toddler Idea Tuesdays and share this fun recipe. this week is teacher appreciation at my toddler's childcare center (and everywhere). 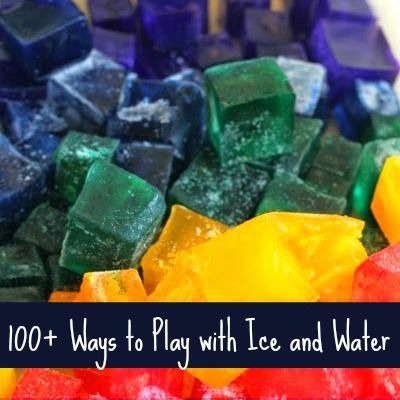 i think i might take the ingredients for something fun for the class to do at their sensory table. What kind of coloring and how much did you use to make it rainbow colored? The directions weren't real clear about taking it from basic slime to rainbow. Just "liquid starch" is not right, I made with liquid starch and didn't succeeded. It's should be concentrated liquid starch. This looks like so much fun! I'll be featuring this on The Crafty Crow soon! 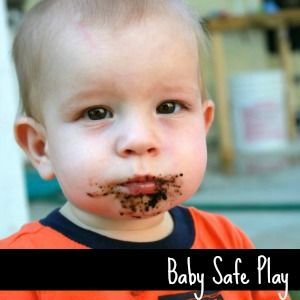 You said to use food coloring, but won't that stain the hands? Possibly temporarily, but it always goes away within a day or so. We typically use liquid watercolor paint, and that washes off with soap and warm water. Can you mix your own liquid starch instead of buying it ready made? What are the proportions? I have no idea. I've never made my own liquid starch. I use equal amounts of glue and liquid starch. Love this! 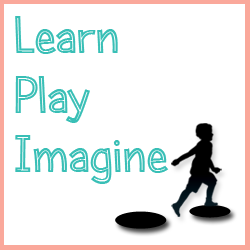 Please link this to Artsy Play Wednesday today (or through Sunday). An upcoming round-up will be on rainbow crafts. This is perfect for the round-up. Can it be any kind of school glue? I believe so. I've only ever used Elmer's, but I would imagine that any would work. Hi, do you know how safe this mixture is if ingested? I work with children with special needs who may try to mouth or eat the slime. For it to last 9 month does it have to be out in the fridge after use? Will it dry out if left out? I don't store it in the fridge. I leave it out. Just be sure it is in an airtight container that is sealed well. It will dry out if left uncovered. Do you think using Kool aid instead of food coloring or paint would work?? Actually no unfortunately. I've tried it, and the Kool Aid neutralizes the slime and makes it a runny mess. 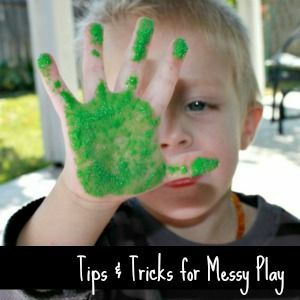 How messy is this activity? Should I put a plastic tablecloth down and keep kids at a table? 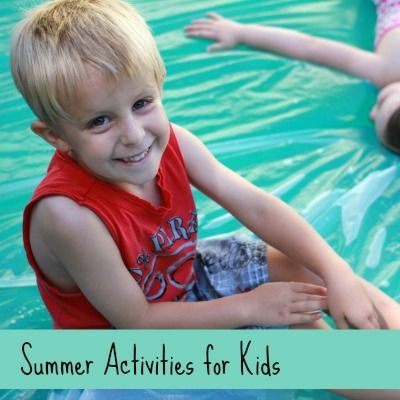 Definitely keep the kids at the table or in a sensory bin. We've never had an issue with it ruining anything. If a little gets on carpet or furniture vinegar will dissolve it, but mostly my kids know to keep at the table/in the bin. just wondering,when they play and mix all the colors of slime together, does it become a blob of brown or grey slime? Yep it was all gray after they played with it for quite awhile. Mine came out stringy what did I do wrong? If it's stringy you need more liquid starch. I add it in slowly until I get the right consistency. i am mixing equal parts glue and starch but it's stringy and the starch wont combine with the glue! have you had this happen? Sorry if this is a duplicate question. I have tried to publish it, and it hasn't shown up...one more try. How long does the slime need to sit in the food coloring? At least an hour. I've left if overnight before, but I've also just left it for an hour or two and gotten the same results. Thanks! We ended up putting it in baggies with a few drops of food coloring, and let the kids mix it thoroughly in the bags, before they pulled it out to play with it. It was a hit! I am trying to find the liquid starch.